Back in the summer of 2015, when I was a student in my third year at Birzeit University, a group of American and European graduate students came to visit the university’s campus as part of a student-exchange program. Being an English major who, ostensibly, could hold a conversation in English, I was invited to welcome the students and guide them on a tour of the campus, to be followed by a Q&A session on anything and everything they had in mind. Now, if you’re an international student visiting the setting of the longest occupation in modern history, there’s a lot you could ask about. For example, you could discuss the peace process, how Palestinians go about their days, how they deal with Israeli travel restrictions, and other such things. But the very first question someone asked me was about the Student Council elections. 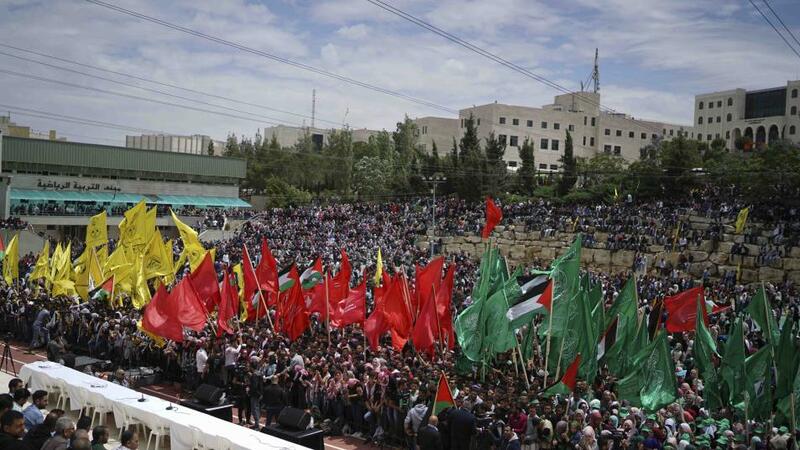 In the 2015 Birzeit University Student Council Elections, the Islamic Wafaa’ Bloc, the Hamas-affiliated student bloc, won a majority of the seats in the elections, a first since 2007. But why do the student council elections in a university north of Ramallah generate such attention that the New York Times, Al Jazeera, Haaretz, and a slew of other international and local media organizations would dedicate a prominent space in their respective print newspapers and website to cover it? The answer is simple: The elections represent a democratic, transparent process cultivated within an environment that provokes thought and discussion. Birzeit University has always held democracy as an integral part of its message. Its professors encourage discussion, engagement, and debate; its campus is a liberal, secular hub of freedom of thought and expression; and its student body is as diverse as it is inclusive. Students from any point on the political spectrum, any affiliation, or any social standing can voice their opinions and stand up for causes they believe should be highlighted. They have the freedom to think differently, raise concerns, and present their ideas publicly, knowing full-well that the campus is their home. These characteristics all culminate in transparent, democratic student council elections that have, in the recent period, served as a gauge for a broader Palestinian political mood and trends. When I was covering the 2018 Student Council elections at the university, I overheard a reporter suggesting to his colleague that the media attention poured over it was too much, and that such media attention was better cast elsewhere. These are the elections in the West Bank; I think it’s well-worth the media frenzy.